Develop into a world-class brass player in one of the world's most vibrant music cities. Take private lessons from leading contemporary and jazz brass musicians, artists who will become your mentors. Chart your own path-choose the the kind of music you make from across genres, the ensembles you play in, and the directors you work with. Explore endless performance opportunities that will sharpen your skills and define who you are as a musician. Master trumpet, trombone, or horn by studying with the legends you want to become and contemporary powerhouses shaping the future of brass music today. Our “artist-as-mentor” pedagogy means you can take private lessons more than thirty brass players, musicians like Ingrid Jensen who is a member of Terri-Lyne Carrington's Mosaic Project, or NEA Jazz Master Jimmy Owens who has played with Lionel Hampton, Charles Mingus, Count Basie and Dizzy Gillespie, among others. Or take a private lesson with Wycliffe Gordon. Other great brass faculty include Ahmed Abdullah, Steven Bernstein, Cecil Bridgewater, George Fontenette and Charles Tolliver. Improvisation is in our DNA and we provide the flexibility and opportunity to shape your training to fit who you want to become as a brass musician and play the music you want to play. Each semester, choose which ensemble you play in from among eighty options. You'll rehearse, record, and perform under the direction of our talented faculty, like members of the New School Studio Orchestra that rotates directors and a guest artist each semester. Choose from ensembles like Thelonious Monk Ensemble, Herbie Hancock Ensemble, Super Trios Ensemble, Live Drum 'n' Bass Ensemble, The Art of the Rhythm Section, Afro-Cuban Jazz Orchestra, and more. 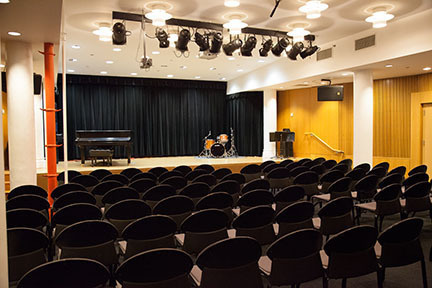 Begin your career in the heart of New York City's jazz and music scene. 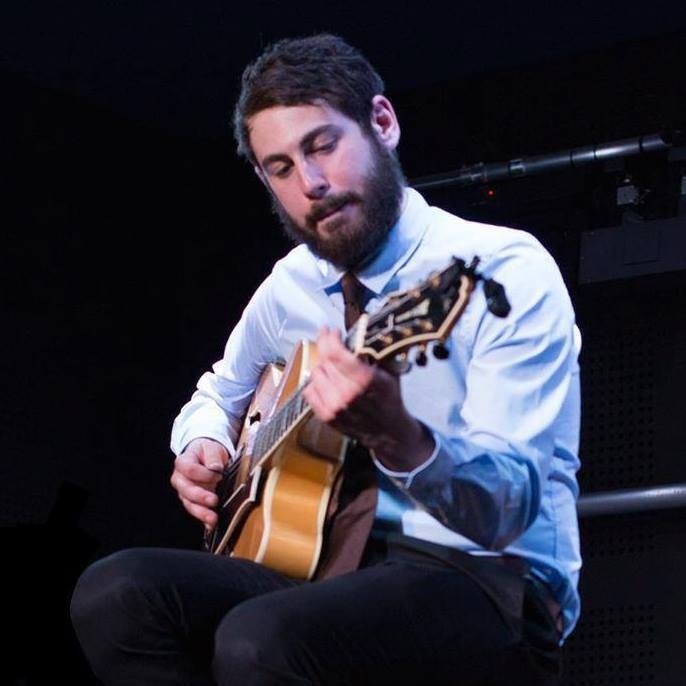 Get exposed to contemporary music as it is being played-and have a chance to make it yourself. Recently, trumpet students played gigs at Zinc Bar and The Highline. 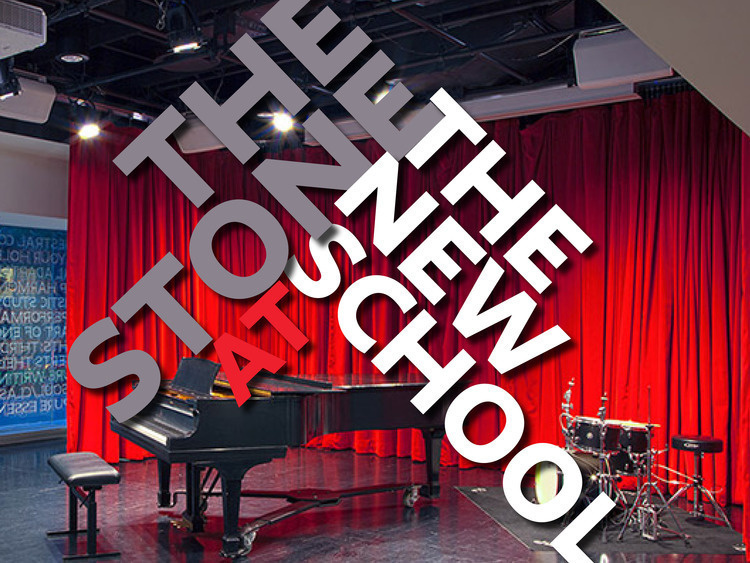 Plus, we're the only school with a jazz club, The Stone, in our lobby.